If you ask me what’s the most frequent dish that gets prepare in our kitchen these days, without a hesitation the answer will be paneer! Ever since Athamma started making Paneer herself, she ends up making it pretty often. Plus with the weather aiding us, we really don’t have to wait to spoil it, it gets spoiled itself and we end up making Paneer at home very often. 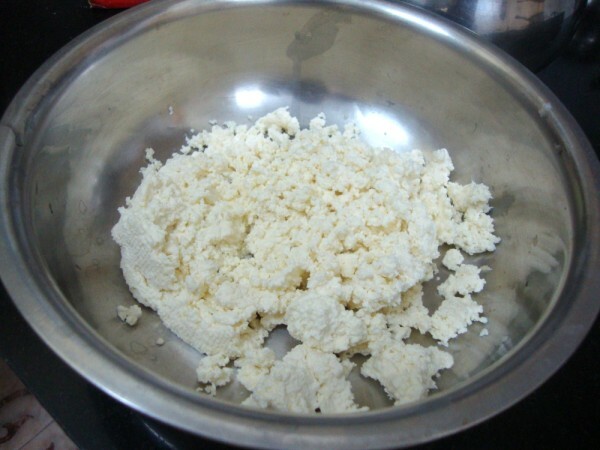 I have already posted how to make paneer way back in 2008, but this method improvises on the other. Hubby dear finally said enough of Paneer Butter Masala or anything paneer with the frequent entry of this dish on the table. So Athamma resorted to Paneer Pakora or Paneer 65 or whatever other innovations she can come up with. We don’t have to worry about the Paneer not getting consumed. Konda loves it in any form. And you give her those tikkas, pakoras, she is very happy. Her school reopened this week and I have been happy that I have managed to pack filling breakfast and lunch. Imagine my surprise when the first day Athamma called up to say Konda has not come in at the usual time. I called up and was told that since she is now in a higher class, the timing is increased with more subjects. But I realized that she will end up coming home very hungry. And next week school reopens for boys too. So you can expect me to be busy with planning menus again. 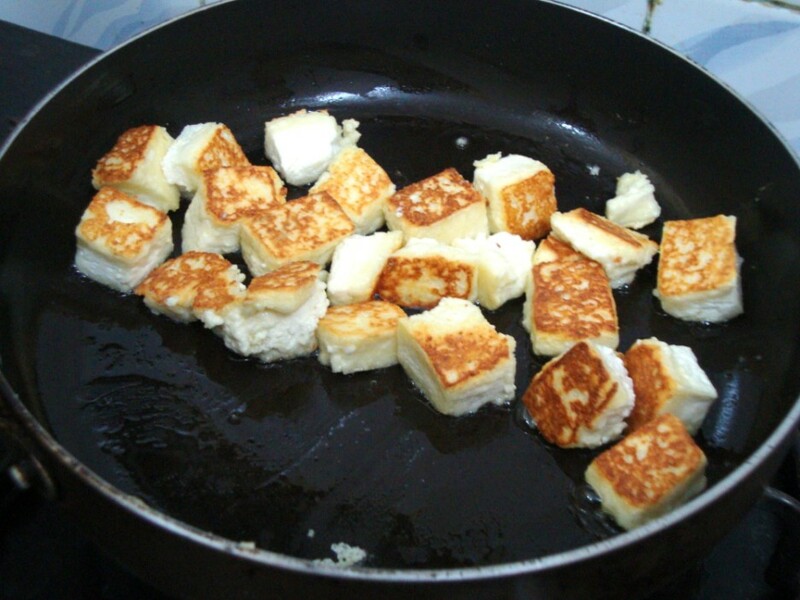 Coming back to this Paneer business, I once saw Paneer made to set very quickly by using Corn flour. I have been ever since wanting to try it. 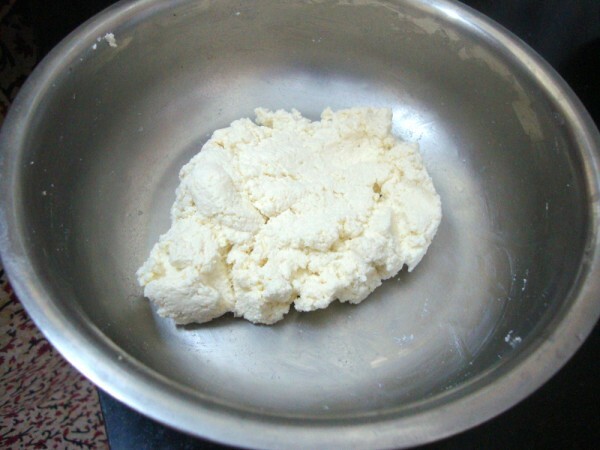 Finally I came around making a quick batch of Paneer by kneading method as followed in the Eastern part of India. I sometimes make Spiced Paneer for making Paneer Tikka, by mixing in spices like crushed peppercorn, Red chili flakes, Coriander leaves and Mint leaves. It tastes great for making Tikkas. That reminds that I haven’t posted it yet. But then it’s a simple process. Before you set the Paneer, you can just add all the spices you need and set as normally method. Thanks to Sharmila for the idea of getting Paneer set and used within 30 mins. Normal process takes more time for setting especially if you want nice cubes. Follow the same method of curdling milk using either Lime Juice / Vinegar / Sour Curds. Strain it over muslin cloth, allow it cool. 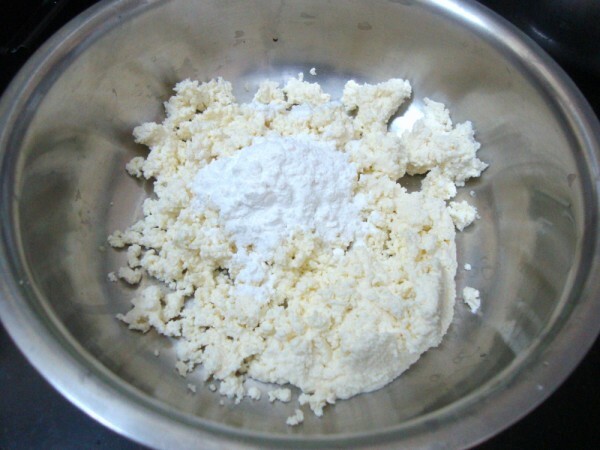 Take the chhena in a bowl, add about 1 tsp of corn flour, a pinch of salt and knead well. It forms a nice smooth dough. Press it on a square plate or a cup. 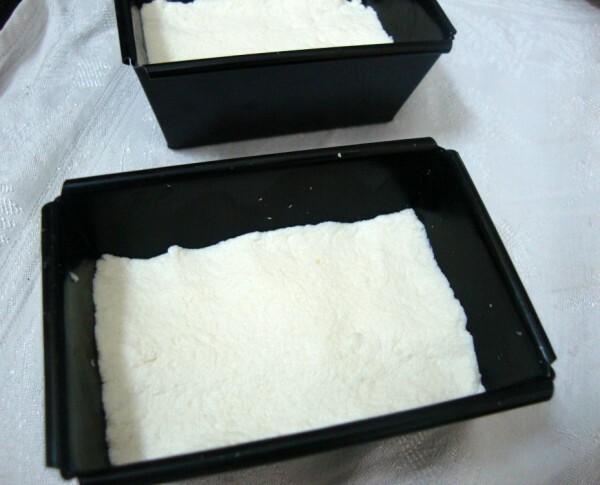 Freeze it for 10 – 15 mins or refrigerate for 30 mins. Remove, cut into cubes, sauté in butter or ghee before adding to the gravy. This method makes the whole process so simple that you really don’t have to wait for long for your paneer to set. Very good info. Thanks for sharing.. let me try.. 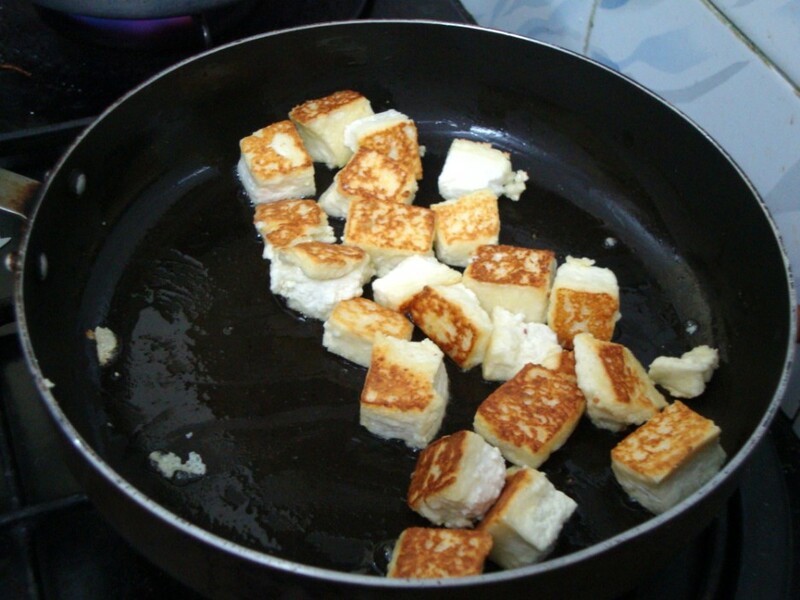 Thanks a lot for sharing with us the way to prepare paneer. Prefect looking paneer, useful post for many of us.. I didn't know adding corn flour makes it faster..shall try it out next time!! I've made Paneer before in the same way but the corn flour is a useful new info for me. Thanks.